Lycanthropy is an excellent new addition to the already stacked Gobsmacking Wall. 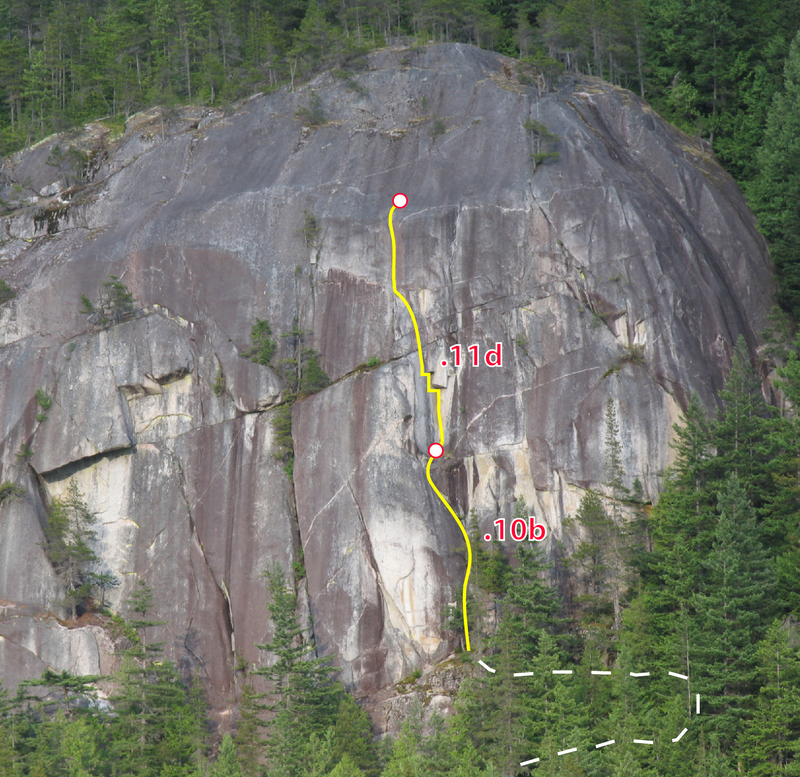 Utilizing the first pitch of Hungry Wolf, the second pitch is where the action is. Featuring fusion style crack climbing through an inverted staircase roof, followed by glorious finger locking up the final headwall crack of Hunter’s Moon. Those who are fans of the steep, athletic pitches that this wall is known for, won’t be disappointed by it’s newest pack member. Click on image and enlarge for detail. 1. Jam up past block, easier ground leads to a left leaning ramp featuring technical, tipsy laybacking past a fixed piton. Lycanthropy tackles the left hand set of stacked overhangs, Hungry Wolf goes out the righthand overhangs. 2. The difficulties begin in earnest as the initial stemming corner puts up a fight. At the roof Hungry Wolf breaks out right, Lycanthropy tackles the left hand stack of overhangs. 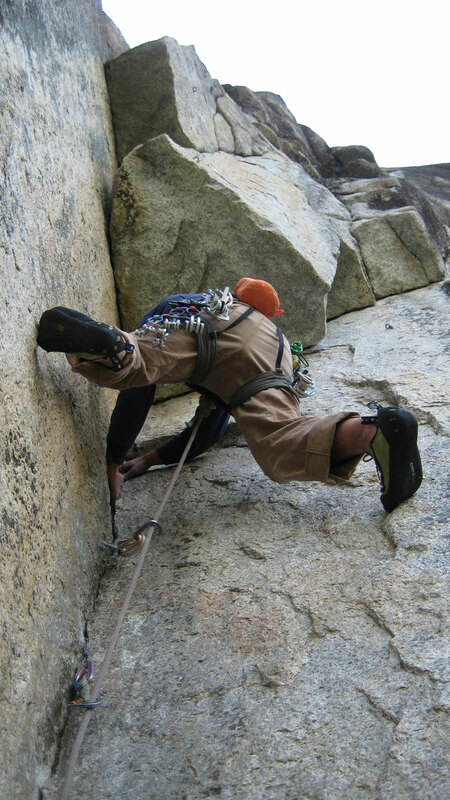 A shiny bristler (bolt) and bomber handjam lure the climber immediatley into the crux which can be solved in several ways, none of which are particularily easy. Pulling into a precarious stance there is little spare energy to contemplate how you could be struggling in a small, blind cam placement, instead clip a second, shimmering bristler and keep trucking to a good stance. Easier climbing past a third bristler leads into a beautiful, vertical finger crack. A single set of cams and wires plus one extra green camalot. One 60m rope will get you down in two rappels off fixed anchors. Alternatively scramble up slab and walk off.